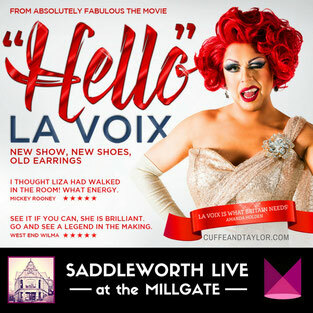 La Voix is the UK’s most Dazzling performer - the larger than life star from Absolutely Fabulous, The Movie and semi-finalist on Britain’s Got Talent! Join La Voix for the BEST night out of the year, featuring live musicians, hilarious comedy and incredible live singing and vocal impersonations. From Cher to Shirley Bassey, La Voix spares no Diva! 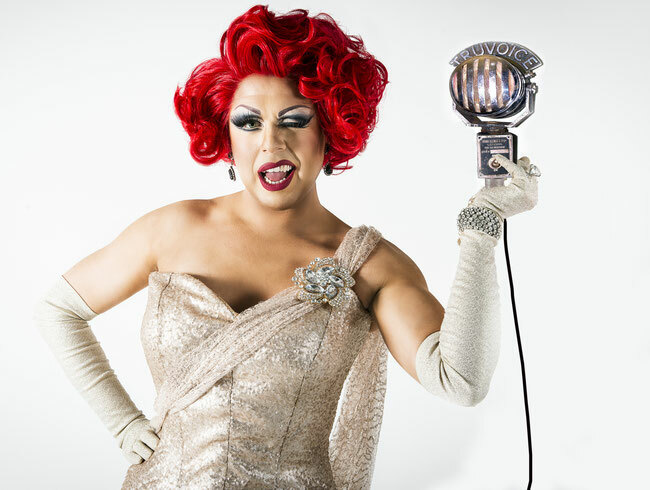 La Voix is Simply the Best, and this is one hot ticket you don’t want to miss! Performing for everyone from celebrities to the Royal Family and now - for one night only - at the Millgate Arts Centre in Saddleworth! Expect a show like no other, receiving outstanding 5 star reviews, La Voix and her musicians will take you on a journey exposing, analysing and satirically delivering an evening of Judy Garland, Liza Minnelli, Shirley Bassey, Tina Turner, Cher and many more! La Voix delivers dazzlingly precise sound-alike performances along with an abundance of Laughter! It'll be an evening of live diva anthems, fun and spontaneity with the chanteuse La Voix. Greetings Saddleworth! - love from la Voix!